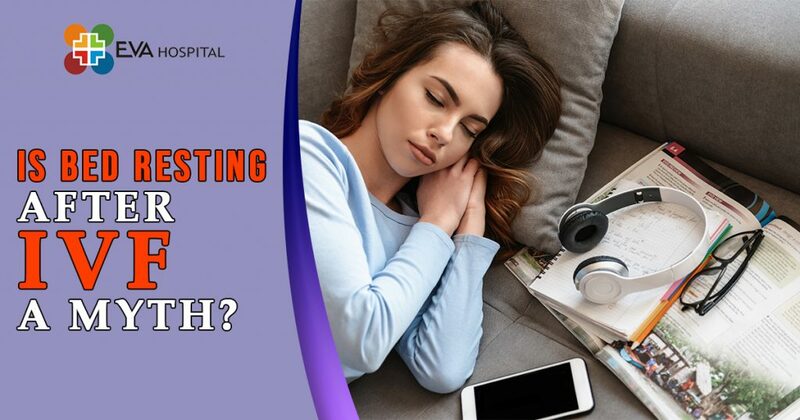 Is It Ideal To Bed Rest After IVF? One of the biggest fear of an IVF patient and her loved one has always been, what if the embryo gets damaged because of physical activity? This fear of loss of embryo or IVF pregnancy fail is the major cause of all the worry and stress. After all, it is artificial implantation and who knows if any physical activity could affect it? When the patients are lost in this worry, they are advised to think in a scientific way about the human body. Even if it is artificial it is no different than a natural embryo and works similarly like the natural embryo. The key difference is that it is implanted artificially to the wall of the uterus. The uterus accepts the artificial embryo as it was naturally fertilized egg. Through extensive research, none of the studies reveal the truth that physical activities are related to IVF failure. The patient can resume the day to day activities within 10 minutes of the implantation. It is very important to understand that the embryo is attached to the uterine lining very strongly irrespective of whether it was naturally or artificially implanted. Moving around, walking or even gravity has no effect on the embryo to fall or detach. Therefore it is misjudged when advised of bed rest after IVF and it is over exaggerated and unscientific. IVF in India is as natural as a natural pregnancy. Women who are forced to compulsorily take a bed rest can get sick of the rest. This is because nonstop rest can be stressful both physically and mentally. If you are told to lie on the bed for two weeks straight it can become difficult and may bring a lot of anxiety and depression of not doing anything and just lying there. Thoughts can take over any person who is going through IVF bad thoughts may bring anticipation and staying inactive and obsessing over the result makes it harder to kill the time. We don’t understand why some doctors and people suggest complete bed rest after IVF. Being active after an IVF can keep the stress, anxiety, and depression away to be fully focused on good thoughts. IVF pregnancy is a boon for couples who cannot have a natural pregnancy, but taking stress after the process is over, can be as harmful as taking stress in a natural pregnancy. Forcing someone to take complete bed rest, keeping them in seclusion and isolating them from everything is a bad idea and of no use.